Photo of the drawing room, inside Shahrukh Khan’s Mumbai Home. This is the living room inside Shahrukh Khan’s home in Mumbai. The painting on the wall is by Subodh Gupta, who is famous for incorporating everyday things in his paintings. The walls deliberately look unfinished. 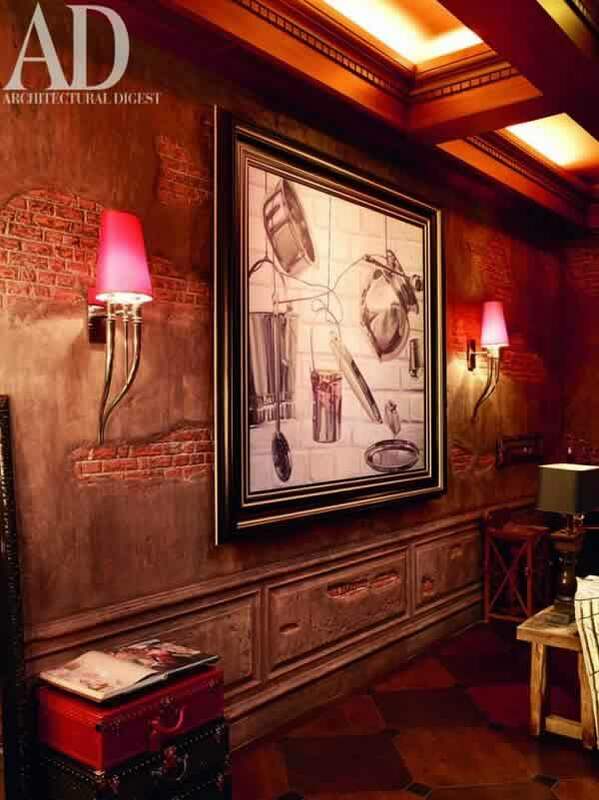 Shahrukh Khan’s wife, Gauri Khan, played an important role in the interior design of their house. Picture is taken from Architectural Digest India’s Facebook page. Please visit this page for more images of Shah Rukh Khan’s Home, “Mannat”.